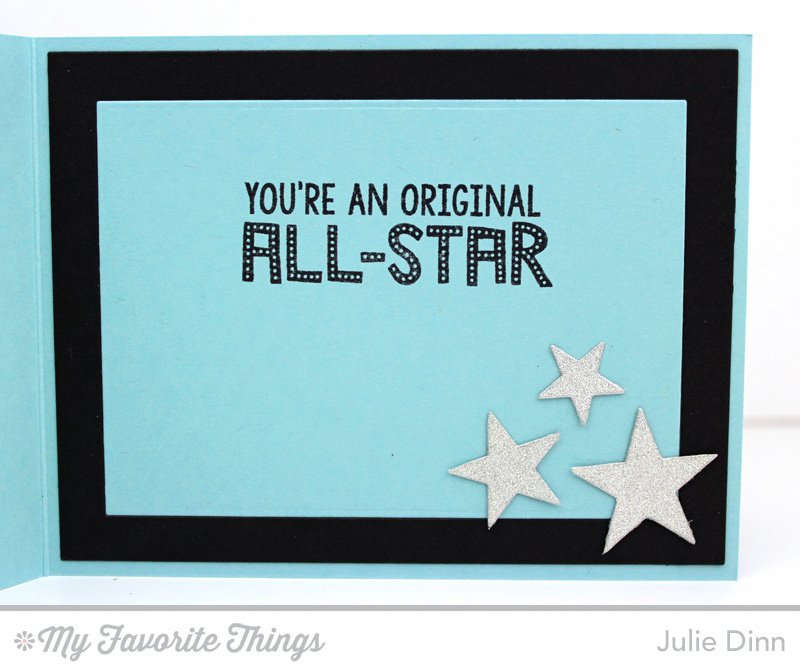 My first card features the new All-Star High Top Die-namics. I am seriously loving this die! 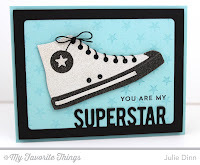 For this card I paired it with the Superstar Frame Die-namics and the Star Background. I wanted this shoe to sparkle! 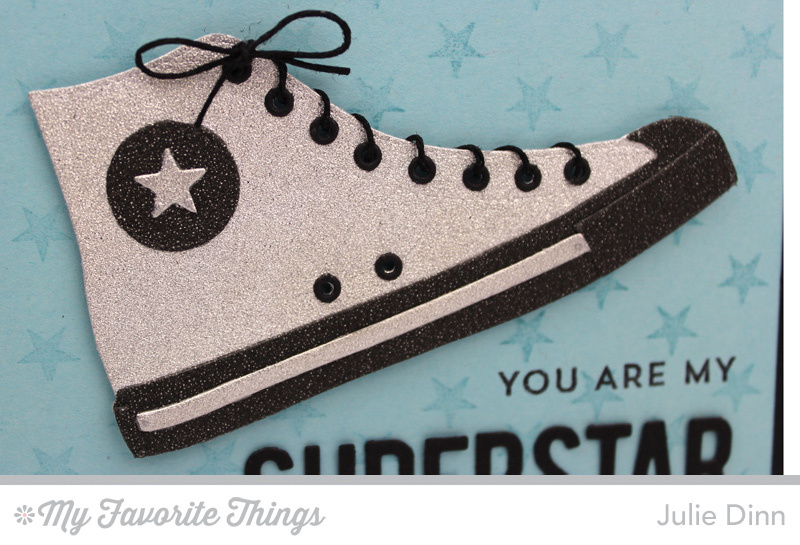 I die-cut the shoe in silver and black sparkly glitter paper. The eyelet holes for the laces were die-cut in Black Licorice card stock and were strung with Black Hemp Cord. On the inside of the card, I stamped one of the fun sentiment from the Be Original stamp set. I also added a few sparkling stars from the Stacking Stars Die-namics. My next card features the fabulous Cozy Mittens stamp set and Die-namics, the Swiss Dots Background, and the Blueprints 20 Die-namics. I stamped the mittens in Orange Fizz Hybrid Ink on Orange Fizz card stock. The accents were stamped with Sweet Tooth Pigment Ink. I finished off the mittens with some Blu Raspberry buttons. The layered pieces were all die-cut with the fabulous Blueprints 20 Die-namics. The background was stamped with the fabulous Swiss Dot Background. 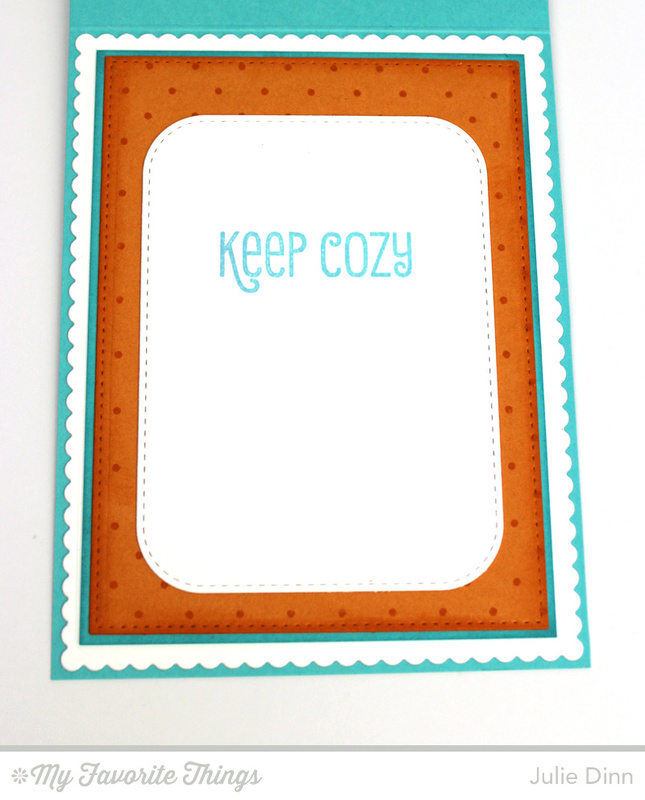 The sweet sentiments are from the Cozy Greetings stamp set, they were stamped on Stitched Rounded Rectangle STAX Die-namics. Thank you again for joining me this week. I hope you have enjoyed it as much as I have. 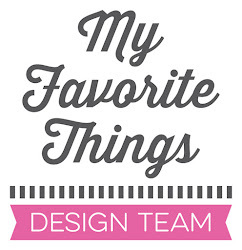 :) Don't forget to check the MFT Blog to see all the gorgeous creations the Design Team has to share with you. Beautiful! I love the glittery sneaker and those mittens look so warm and cozy. I love that! Glittery high top!! Fantastic! I love the colors you chose for your mitten card & I can't wait to get my hands on that tennis shoe die. Loved the way you laced it up. Love that cute sneaker and such a cute card with those mittens! These are sooo cute. I just LOVE the glittery shoe!!! Gorgeous! I really like how the matte black eyelets stand out from all the sparkle!